We take the privacy of our members and web visitors seriously. To this end, we do not collect visitor data and we certainly do not transfer any data to third parties, without your permission. The Registration plates of our members’ cars are blanked out in any photos featured on the Helluvit Sports Car Club website using photo editing software. 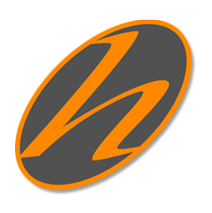 We only hold the name, phone number and email address of Helluvit Sports Car Club members. These details are held exclusively for the purposes of informing members of forthcoming club events. We will not transfer them to anyone without your permission. “Cookie(s)” – Data files that websites place on computers or other mobile devices of people who visit those websites. Cookies are data files that websites place on computers or other mobile devices of people who visit those websites. Unless otherwise stated in this policy, We are not responsible for the Cookies of other websites or sub-domains of This Website, whether linked to from or embedded in This Website. Cookies are not currently in use on This Website, so there are currently no settings applicable to Cookies. The Helluvit Sports Car Club / Red Dragon Motorsport (UK).